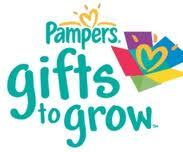 I think this will be the fourth or fifth new Pampers Gifts To Grow Code for this week!!! WOW!! Merry Christmas to us!